Interested in Becoming an Orientation Leader? Applications are currently available. All application materials are due by 11:59pm on Thursday, November 20, 2014. 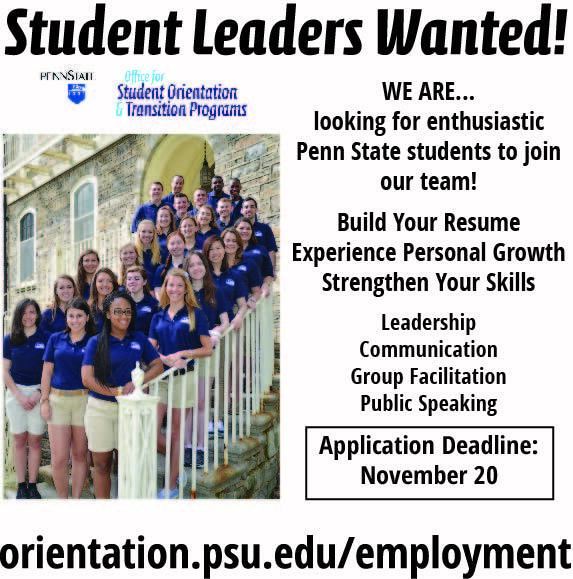 Interested students should visit orientation.psu.edu/employment to learn more about the application and selection process. For information about the process, please contact orientation@psu.edu.